Lionsgate will host a power-packed panel that will feature the stars and filmmakers from the highly anticipated feature films John Wick: Chapter 2 and Saban's Power Rangers during New York Comic Con on Saturday, October 8. Fans attending the hour-long panel will be treated to Q&A sessions with the cast and producers of Saban's Power Rangers and John Wick: Chapter 2, as well as exclusive, never-before-seen footage from both films. Those who cannot attend will be able to watch the panel LIVE on Twitch. Lionsgate presents a preview of two of 2017 most highly anticipated films, SABAN'S POWER RANGERS and JOHN WICK: CHAPTER 2 - - A must see for all, this panel will provide a look at the epic action-adventure, SABAN'S POWER RANGER'S followed by a Q&A with the cast and filmmakers bringing this new motion picture to the big screen. 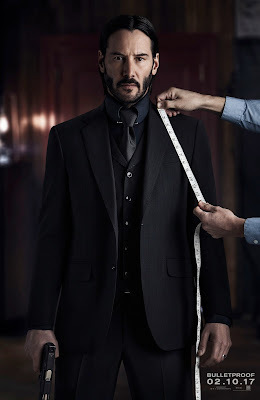 Attendees will also be shown footage from the return of everyone's favorite hitman in JOHN WICK: CHAPTER 2 and will be treated to a Q&A with the all-star cast.